To conclude the Gullah/Geechee Riddim Radio three part series on “Gullah/Geechee Land & Legacy,” I took the time to focus on land grants and land grant institutions that were provided to enhance the sustainability of anglo communities in opposition to what had been done during the same era regarding Black land ownership. I also took the time to revisit the involvement of the Bureau of Refugees, Freedmen, and Abandoned Lands which is better known as the “Freedmen’s Bureau.” In the course of reviewing the process of land distribution that took place during the Reconstruction Era in the United States, the journey of a discussion of 40 acres and a mule led to finding records that there were some 40,000 Gullah/Geechees that were owners of 400,000 acres of land on the Sea Islands during the time that the Freedmen’s Bureau existed. The existence of the number 4 in African cosmology has some very significant references for Gullah/Geechees and this was not overlooked in seeing these multiples of 4 repeated in these records. Not only was the numerological examination intriguing, but also were the Freedmen’s Bureau records of South Carolina which brought to light the process of land distribution in Beaufort County, SC which is primarily a string of Sea Islands. 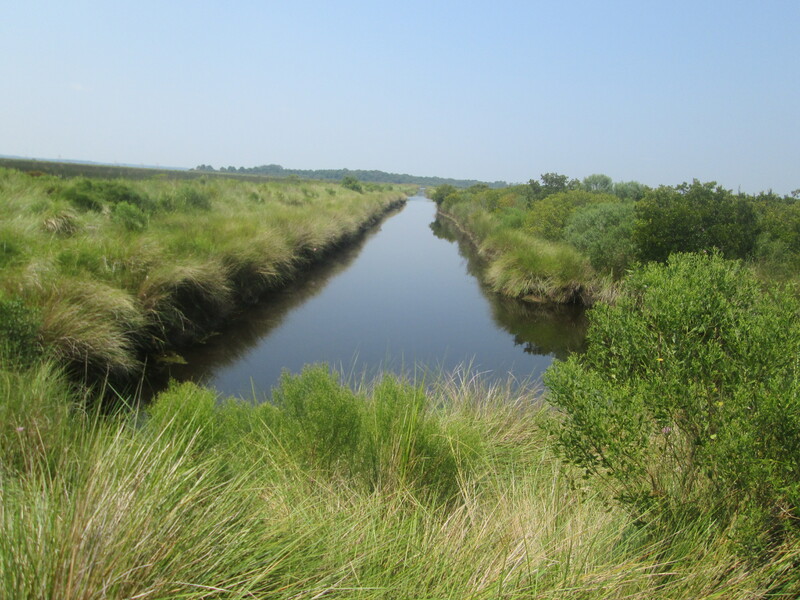 This county is the home of St. Helena Island, SC which is one of the last Sea Islands of the Gullah/Geechee Nation with a contiguous Gullah/Geechee community throughout the island. 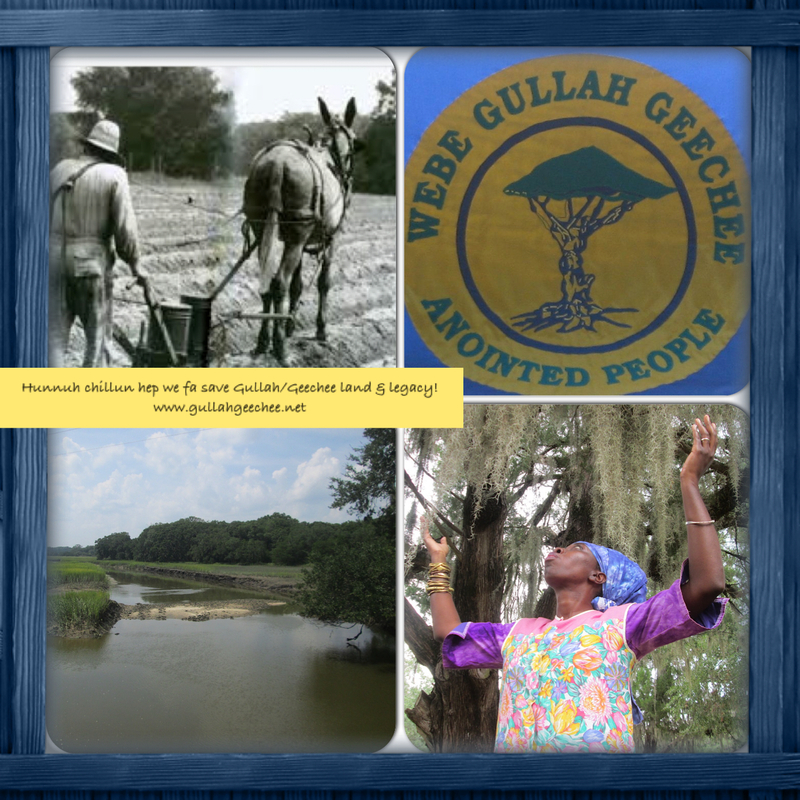 In fact, the Gullah/Geechee population here owns 90+% of the island to this day. This is no doubt due to the consistent legacy of family continuity and vigilance that has continued to strengthen the community even in the face of attempts at disenfranchisement and displacement. 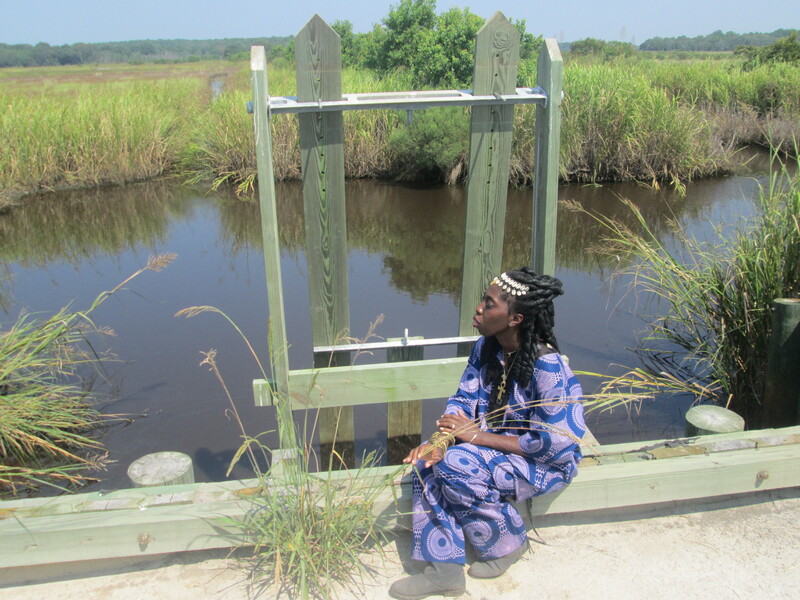 Queen Quet, Chieftess of the Gullah/Geechee Nation (www.QueenQuet.com) sits where Gullah/Geechee ancestral spirits gather at a Carolina Gold rice trunk on Jehosee Island and pays tribute to their knowledge, labor, and souls.